I’ve neglected my blog here so though I’d update with a recent photography excursion – yesterday in fact. 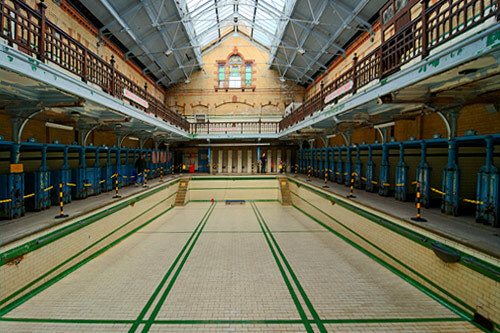 I ventured out to Manchester Victoria Baths – a fascinating restoration project taken on by locals when the baths closed in 1993. 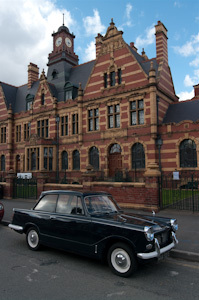 The Baths has a small entrance charge (£2 at the time of writing) and offers free guided tours around the premises. Unlike most NT and English Heritage buildings you’re free to wander around with a camera, even tripod, and take photos. The Victorian fixtures are brilliant subjects to photograph. Wandering around is almost like urban exploration, but without the trespass element. 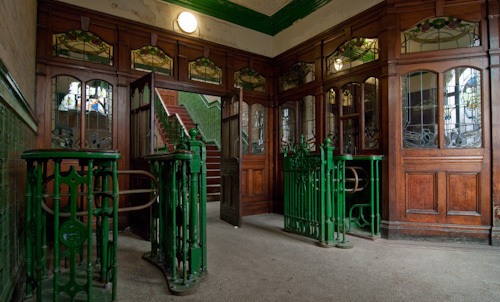 Derelict areas, partly restored, old glazed tiles vivid green and fabulous coloured stain glass windows, rusty metal works, broken showers, taps, buzzers, victorian electrics, old flaky doors – it’s almost an urbex dream. The volunteers are really helpful and there’s a cafe serving baked potatoes with Chilli, Beans or Cheese and sandwiches, along with some great home made cakes. Allow a couple of hours and be prepared to shoot loads of tripod mounted HDR brackets.